This month, Shout Mouse went on a book tour to Granville, Ohio. We were honored to be invited by Denison University to speak on campus as part of the Women’s and Gender Studies Program’s Laura C. Harris Symposium. The theme for this symposium, “Making Just Democracies,” speaks to the work we do by leveling the playing field for publication and creating speaking platforms for people of all backgrounds. We were thrilled not only to be part of this important discussion, but to bring young women best suited to speak to these issues – Shout Mouse authors Litzi Valdivia-Cazzol and Darne’sha Walker. Litzi and Darne’sha have both been active and enthusiastic participants in Shout Mouse programming from its inception. 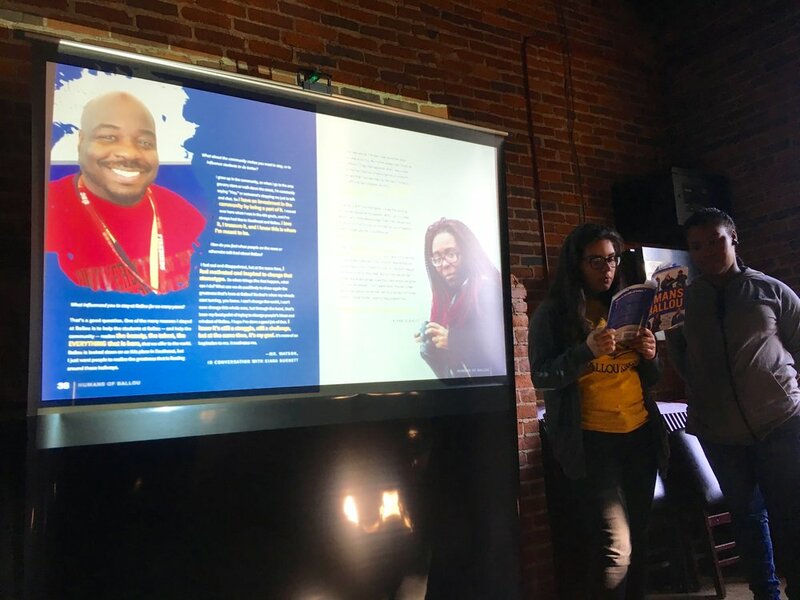 As members of both Reach Incorporated and Ballou High School, Litzi and Darne’sha have authored both children’s books and memoir collections, and thus were able to speak about the process and impact of both projects. 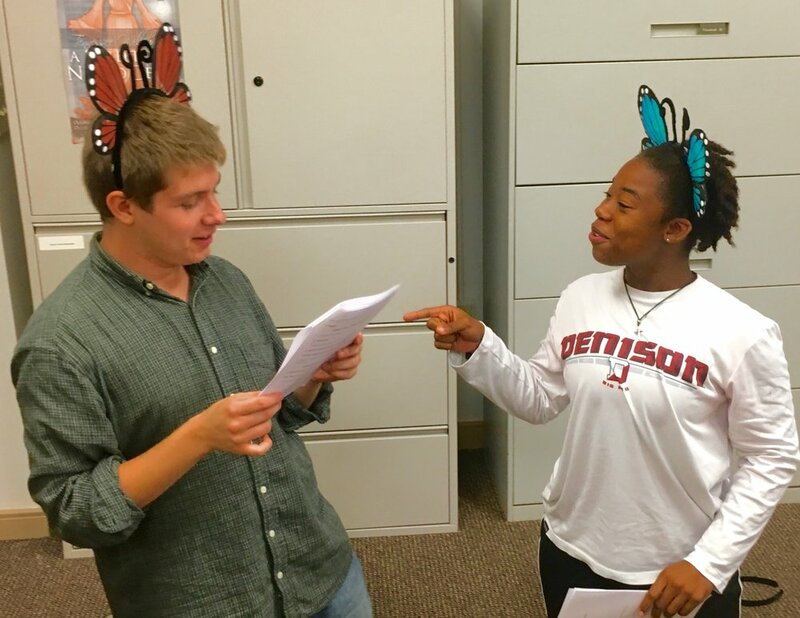 Further, both Litzi and Darne’sha are graduating seniors in the midst of applying to colleges, and were thrilled to visit Denison, a close-knit school well-known for its liberal arts programs. The trip entailed a number of firsts: first plane ride, first time in Ohio, and first time being honored as guest speakers on a college campus! Over the course of three days, Litzi, Darne’sha and Shout Mouse founder Kathy spoke at seven(!) different events while also touring the campus and getting to know students and professors over lunches and dinners. The focal point of the trip was a public reading and discussion of the importance of diversity in children’s literature. 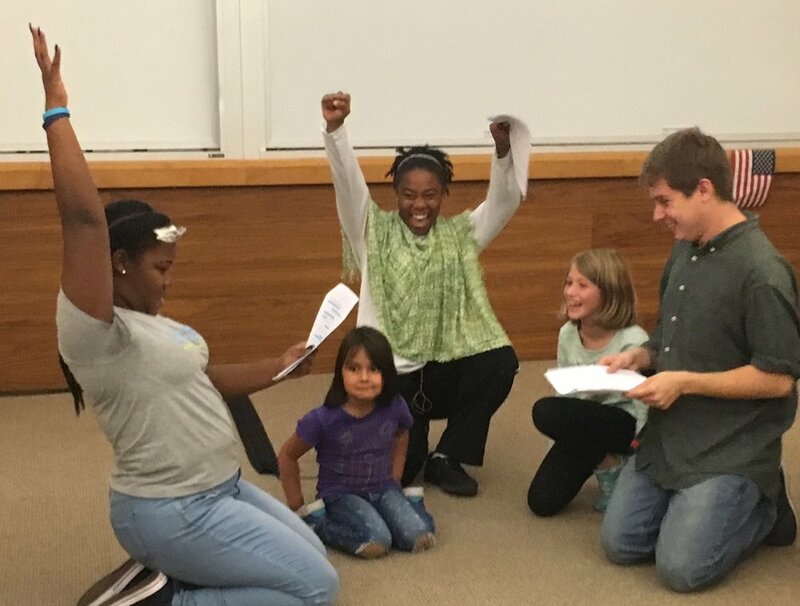 Along with student actors from Denison, Litzi and Darne’sha read and acted out two of their original children’s books, Princess of Fort Hill Shelter and Flutterbugs. Afterwards, authors discussed the “story behind the story” and fielded questions from the audience. “You can be whoever you want, whenever you want. Society sees you as a moth, but you can be a butterfly. All you have to do is believe in yourself,” Litzi said about writing Flutterbugs. Another major highlight was a four-hour writing workshop with students modeling the process behind Humans of Ballou, in which participants were invited to have candid personal conversations with strangers about the ways others may see them vs. the way they see themselves. The workshop focused on the concept of “the danger of a single story,” inspired by the TED Talk of the same title given by author Chimamanda Ngozi Adichie. Participants shared some of their insights and photo portraits via social media. Search #ShoutMouseDoesDenison on Facebook for more. Beyond these two major events, Litzi and Darne’sha spoke about their experience as authors in five different classes, in departments ranging from Education to Psychology to Black Studies. 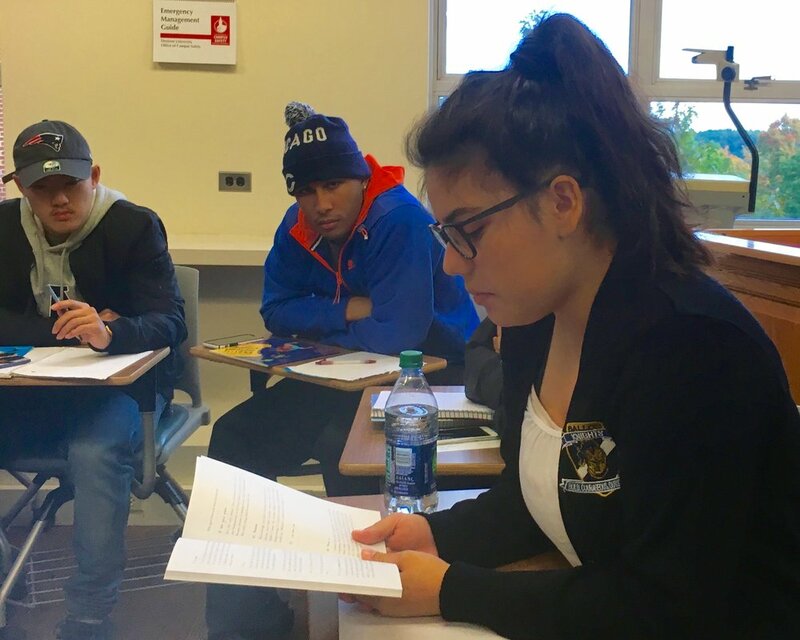 In an Adolescent Psychology class, Litzi and Darne’sha both read their work in volumes one and two of the Ballou Story Project, How To Grow Up Like Me and Our Lives Matter, which the class had adopted as part of course curriculum. • “The authors are brilliant, the books are impactful, and in your time here you really touched our Denison community, myself included.” – Libby Beach. 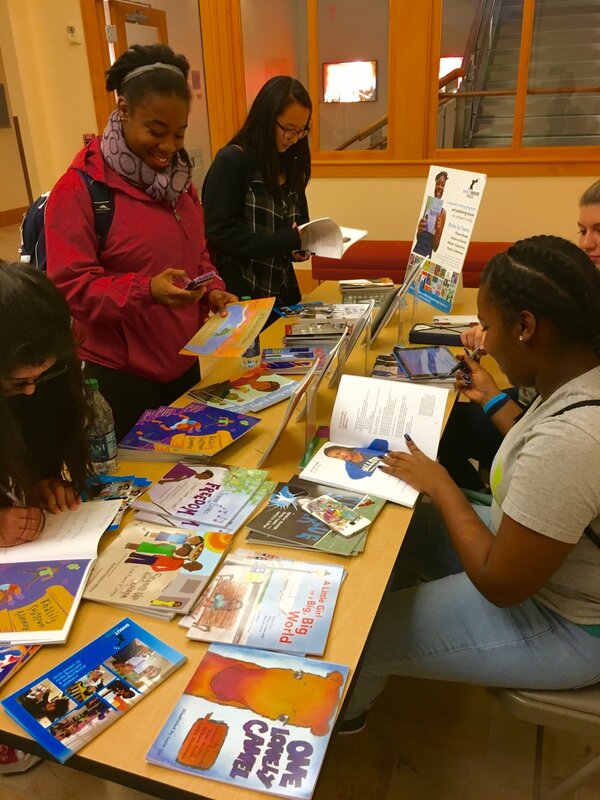 We could not be more proud of the way these authors represented themselves, their schools and programs, as well as their Southeast DC community. We are looking forward to more opportunities for our authors to share their perspectives, because what’s most important to us is not just publishing their voices, but providing opportunities for them to USE those voices for leadership and change.